Are Naturopathic doctors (NDs) licensed physicians? Yes! In the state of Oregon Naturopathic candidates must pass board examinations and are then eligible to be licensed by the Oregon Board of Naturopathic Examiners to practice primary care medicine. To maintain licensure there is a thirty-hour annual continuing education requirement to include at least ten hours in pharmacology. So, how is an ND different from an MD? Naturopathic physicians are unique in that we draw on the proven medical philosophies of various cultures and integrate these with modern scientific research. We also maintain that an underlying cause exists behind all disease and symptoms. We seek to address this underlying cause and restore the body back to health using effective, safe, and natural measures. We also place an emphasis on education and focus on patients playing an active role in their own health care. We spend significantly more time with each patient than most MDs! The average doctor visit in the U.S. is about seven minutes. 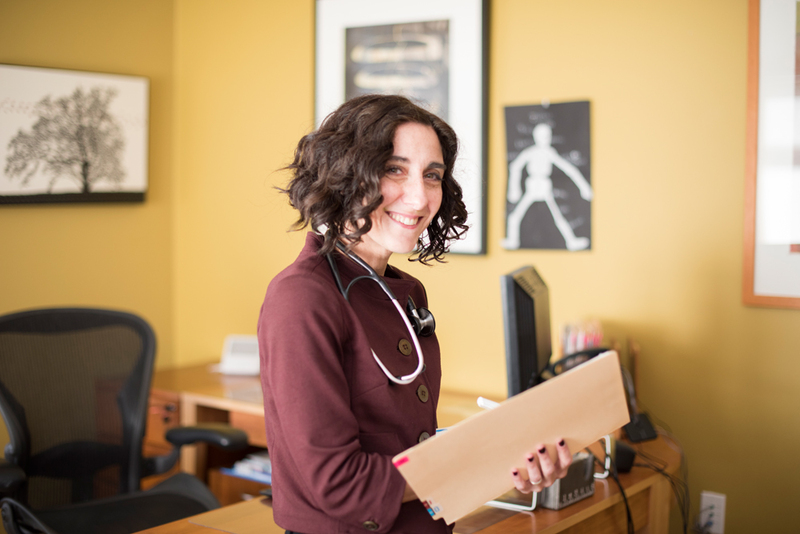 A typical new patient Naturopathic appointment at ENHC is about an hour, and follow-ups are usually 25 minutes and can be as long as 40 minutes. Please note that due to Dr. Brody's busy schedule she does request that her patients have on PCP who can be seen for acute or pressing issues, and has hospital admitting and treatment privileges in case of an emergency. When those unexpected situations come up it can make all the difference to have someone who is legally permitted to manage your care. You can see our physicians for everything that a primary care physician would treat. We have particular success with conditions that are not terribly responsive to Western medicine such as irritable bowel syndrome, PMS, or generalized malaise and fatigue. We also have very good results using natural therapies to treat conditions such as migraines, menopausal symptoms, high cholesterol, mild anxiety and depression, insomnia, adrenal fatigue, allergies, and more. Please note that Dr. Brody works with many patients who want to get off of their prescription medications as well as patients who are currently on prescription medications and want to continue them and also use natural medicine. In some cases Dr. Brody will recommend a prescription either short or long-term if she and the patient together decide that this would indeed be the least harmful approach. We are uniquely positioned as practitioners of both Western and complementary medicine to support patients in all aspects of both of these types of care. Naturopathic medicine is also perfect for those who are feeling well but want to prevent disease in the future. We can assess risk factors and give patients tools for optimal health. In short Dr. Brody offers treatment that lines up with your values, period. What kind of treatments do you offer at Evergreen Natural Health Center? We often treat in cooperation with medical doctors, and may refer you to Western medical or Naturopathic specialists if indicated. After pre-medical training, Naturopathic physicians must complete medical school at an accredited institution, where they graduate with a doctoral degree, Doctor of Naturopathic Medicine (ND). Naturopathic physicians are trained in basic medical and clinical sciences, physical and clinical diagnosis, and Naturopathic philosophy and therapeutics. In Oregon, Naturopathic candidates must pass a board licensing examination, and then they are licensed to practice primary care medicine. Naturopathic Medical Training includes all of the same basic course work as traditional medical schools, with a few exceptions including that naturopathic students study only minor surgery, and at the time that Dr. Brody attended school there were no formal residencies. Acupuncture is a 5,000 year old ancient Chinese healing art wherein fine needles are inserted into specific points in the body. From a Chinese medical perspective the theory is that the body has an energy force running (known as Qi, roughly pronounced Chee) that travels through the body along “meridians” (specific pathways). Energy constantly flows up and down these pathways. These pathways can become unbalanced - causing illness. The effect of the acupuncture needles is to restore the balance of the patient’s energy and thereby improve overall health. Although we do understand part of how acupuncture works, we have yet to be able to explain it all from a Western scientific perspective. For instance, we do know that acupuncture decreases pain and increases healing by increasing blood flow (and therefore anti-inflammatory chemicals) to the areas where needles are inserted. But we also know that acupuncture often works very well for conditions that aren't causing physical pain such as insomnia, PMS, mild anxiety and depression, generalized fatigue and more. In these cases we use Chinese medical theory to diagnose and treat patients. You may hear your acupuncturist mentioning organ systems such as liver, kidney, or spleen when discussing the cause of your symptoms. It is important to understand that she is not talking about your actual organ, but the organ pattern within Chinese medical theory. I’m not a big fan of needles, does acupuncture hurt? When the needle is inserted, you may feel nothing, or a sensation akin to a minor insect bite that usually subsides within a few seconds after insertion. After the needle is inserted sensations vary widely depending upon the person and the location of the needle, as well as the particular imbalance you are experiencing. It can vary from no feeling at all (in most cases) to mild aching or warmth. If there is any discomfort we remove the needle immediately. We believe firmly at Evergreen Natural Health Center that acupuncture does not have to hurt to work. Acupuncture sessions should be restful and relaxing. What types of conditions are best treated with acupuncture? Acupuncture is effective at curing various diseases, some of which are resistant to conventional methods of treatment. In the U.S., acupuncture is most commonly associated with treating pain (it is even used as an anesthetic agent for some surgical procedures). But acupuncture can be an effective treatment for a wide variety of conditions, acute and chronic, mental and physical. In addition to being free from side effects commonly encountered in drug therapy, acupuncture is simple, safe, and effective. One of the things that people love about acupuncture is how relaxed they feel after a treatment. Often this sense of relaxation will last long after the session, even spilling out into your day to day. For more information about acupuncture and Chinese medicine with Dr. Samantha at ENHC, see What to Expect. How much training do acupuncturists complete prior to practicing? In the State of Oregon, acupuncturists must either graduate from an accredited acupuncture program, or must already have at least 5 years of clinical acupuncture experience. After meeting this criteria, they must then get NCCAOM certification in acupuncture to practice in the State of Oregon. What is Clinical Nutrition and how is it different from just watching my diet? At Evergreen Natural Health Center we assess diet for each patient based on current state of health as well as health goals. Each person’s ideal diet is different from the next. It is our job to assess what’s working for you in your diet and help you eliminate the things that may be negatively impacting your overall health. Weight goals if that is in line with your values. Dr. Brody believes that health isn't a number on a scale. Because you literally are what you eat. Nutritional deficiencies and imbalances rob the body of its own natural resources and can manifest as symptoms such as fatigue, mood swings, and insomnia. Poor nutritional choices can ultimately contribute to chronic diseases such as arteriosclerosis, high blood pressure, diabetes, or arthritis, to name a few. And sometimes, what appears to be a healthy diet is not actually healthy for that individual. There is an ideal approach for each person and we assess each individual’s dietary and nutritional needs and values and work toward a plan that will allow you to feel the best that you possibly can. One of the differences at Evergreen Natural Health Center is that we don’t simply suggest a dietary change, but we teach patients how to implement these changes in a way that best suits the individual. Do I have to take a ton of pills to be healthy? 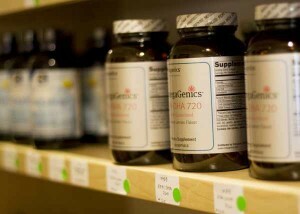 At Evergreen Natural Health Center we understand that most people don’t want to take handfuls of supplements every day. We want our patients to have to take as few things as possible, and encourage changes in lifestyle and diet to facilitate this. That said, based on the health history and physical exam, there are often nutritional supplements we will recommend for overall health, or to treat an immediate symptom. Herbal medicine is an ancient form of health care that has been used for thousands of years. Extensive scientific documentation now exists concerning the use of herbs for health conditions. Western traditions of herbal medicine (also referred to as botanical medicine) rely primarily on the use of single herbs, or the combination of a few herbs. Other traditional systems of medicine, particularly Asian traditions, use many herbs in synergistic mixtures. At Evergreen Natural Health Center we blend these two traditions in our approach to health. Why does ENHC offer Stress Management? Stress has an incredibly powerful effect on the body. It can cause emotional and physical symptoms that can derail an otherwise healthy person. Often seemingly unrelated symptoms can be eased by managing stresses effectively. But nothing major has happened, why would I need help with stress? Often we think about stress as the ‘biggies’ such as losing a job, moving, or relationship changes. There are many other types of stress as well, which cumulatively can have a substantive impact on one’s health. These stresses vary from person to person but may include diet, lifestyle, relationships, environment, insufficiencies (exercise, rest, etc), finances, pain, and more. We work to help identify current stresses in your life and assist in coming up with a plan to assess which of these really can’t be changed versus which can be addressed with the right tools and support. What Women’s Health issues can ENHC help with? The services offered by ENHC can be used to address most women’s health concerns including menstrual difficulties, PMS, gynecological problems, peri-menopause and menopause, endometriosis, some sexually transmitted diseases, annual exams, natural hormone replacement therapy, and osteoporosis. The doctors at ENHC can also perform women’s routine gynecological exams (including pap smears). What can ENHC do for Menopausal symptoms? We believe that each woman’s menopause hormonal situation is different, and each woman’s treatment plan must be personalized. For instance, Menopause treatment should be based on an individual’s risk for osteoporosis, heart disease and cancer, her current symptoms, as well as her personal values about conventional or natural treatment. Our physicians can discuss and prescribe a wide range of treatment options, from nutrition and herbal remedies to natural and conventional hormone replacement therapy. Please note that your ND will prescribe the most effective course of treatment and that may include treatments not outlined here. Your doctor will work with you to help you fully understand all treatments recommended. Still have questions? Check out the FAQ page, or contact us and we'll be happy to help you however we can.